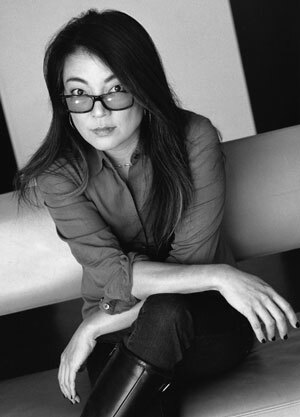 Carolyn Chen has brought her stunning visual style and honest, emotionally driven storytelling to TV commercials and brand content for over two decades. An award-winning cinematographer, Carolyn spent her childhood armed with a camera and black and white film roaming lower Manhattan. After beginning her formal photography training at RISD, she was compelled to more narrative storytelling and completed her education in filmmaking at NYU. Carolyn has directed over 200 spots for top advertising agencies and diverse leading brands such as Proctor and Gamble, Bank of America, AT&T, Nike, McDonald’s, Pfizer, General Mills, Coldwell Banker, Alamo, Lockheed Martin, Walmart, and Unilever. Recently, she launched Production For The People – a completely new kind of company that takes the reigns of the digital revolution by offering high quality production at costs that are astonishingly affordable. Today, as a content creator, entrepreneur, artist and mother, Carolyn Chen sees life and work through fresh perspective constantly. Her work lives deeply in the art of observation and capturing moments that become stories. Her own city-kid roots have never loosened their hold and the acutely felt connection with people, sun, sky and asphalt still inform her work everyday. © 2012 PRODUCTION FOR THE PEOPLE, LLC.